He’s pretty interesting. I genuinely enjoyed the lore behind the character. Don't hate him but he doesn't interest me at all. 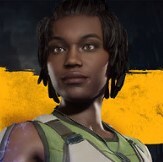 Another throw away character that wasn't needed where we could have had someone like Ashrah, Sareena or Havik explored more. Kollector just comes across as very uninspired. he looks like he belongs in MK opposed to Geras and Cetrion who sort of look like Injustice characters. He looks awesome. Definitely gonna be alot of fun playing him and his fatality is similar to Mileena’s except he is putting their organs in his bag as he is slicing them lol. I didnt realize til i saw it the second time that he kept putting organs in his bag. Overal great kharacter. What was his race called again? I dig him. Big time! That guy looks like an MK character.Name is lame, but man he looks cool and very much like a character from Outworld which is more than I can say for the majority of Outworlders in this game or the last. Every MK game after 2 has had that character, that one character who stands out among the rest and carries on as a favorite. MK4 it was Quan Chi, MKDA it was Kenshi, Deception, it was debatably Havik and MKX it was D'Vorah, I think Kollector is that character for this game. But then again I often favor characters who end up being detested by the MK community. Drahmin, Sheeva, Jax (wtf?) and Nightwolf to name a few so who knows? With my luck this will just be another monster character who the majority end up hating and I never see again. I gather he's not a Shokan though. That's unfortunate, it would have been cool if they gave us a fresh look at Shokans' and diversified them a bit more. I was for a quick moment hoping he was some sort of twisted, mutated Shokan via Shao Kahn and Shang Tsung body horror experiments in the flesh pits. 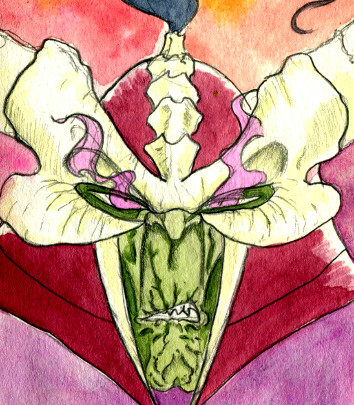 He’s going to give me nightmares (along with the new Shang Tsung since it’s the first time he actually intimidated me). 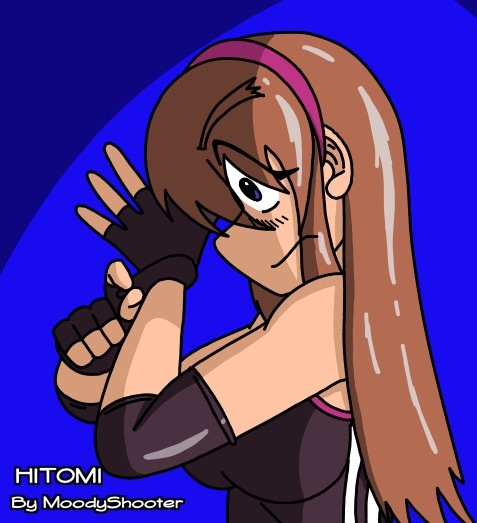 Okay another roster spot they could have given to Rain or Havik or Sindel or Reiko or another already established character that needs a chance for more development. I don’t like the kollector. We already characters with four arms (Goro, Sheeva, Kintaro) We already have a character with extending extra arm things (D’vorah). Who came up with this character? And then who was like “yeah that’s a totally good idea for a new character”? Like wtf NRS!? He also has almost the same fatality as Mileena. I just don’t understand the thought process here. Instead of inventing stupid new characters, bring back old characters that need more story development, like the fans have been asking for, but not Frost, she’s a stupid Sub Zero rip off. Every MK game after 2 has had that character, that one character who stands out among the rest and carries on as a favorite. MK4 it was Quan Chi, MKDA it was Kenshi, Deception, it was detestably Havik and MKX it was D'Vorah, I think Kollector is that character for this game. But then again I often favor characters who end up being detested by the MK community. I was just thinking about the characters you mention, and comparing Kollector here. I don't know who the majority of the MK kommunity detest other than a few obvious ones I suppose (Hsu Hao; Kobra; Ferra/Torr). D'Vorah's an interesting one you mention because I thought D'Vorah was one of the best things about MKX, I thought she's pretty cool. My little brother though, ever since he saw her kiss Mileena, he hates her, I don't know. I'm older and I like her, you'd think it would be the other way around. On Kollector. I think he seems pretty good, if he plays good I'll like him enough. I think my least favorite character ever would be like, Ferra/Torr. Kobra. Jarek. Kira. They are bottom of the barrel. Okay another roster spot they could have given to Rain or Havik or Sindel or Reiko or another already established character that a chance for more development. Develop how? MK doesn't work like it used to anymore. Characters don't get expository bios that delve into their motives and lore. Unless they're a main characters AKA Special Forces and Liu Kang or main players in NRS's "We want to be game of thrones" Outworld plot, they get sidelined and if you're lucky they'll get a couple sentences of dialogue that gives you hardly any insight into their character. He's cool. Definite Gollum vibe. I kinda wish they spaced out the reveals between him and Cetrion, because they both seem like thematically busy characters with a sprawling arsenal of weapons/powers -- as opposed to having a clear specialty, like time bending or blood magic or gunslinging. So even though they're not even remotely the same character, there's a sameness in conceptual philosophy between the two that might have felt less pronounced if they were shown farther apart. I like that he has an eclectic collection of weapons, but there's so much variety in the things he carries that the character confuses me a little bit. His tools don't quite go together naturally. I suppose that's part of the point. I like the idea, but it's gonna take me a bit of time to properly wrap my head around him. It'll be easier once I've seen him talk a little more and I can get into his personality. Extremely weak. Not a fan at all. He's the best out of the 3 new characters imo. I like him. All positives from me. He feels like he fits in the MK universe. Agreed. Hands down easily the best of the new characters introduced this go-around. I like everything; the gameplay, the fatal blow, the fatality (even though it heavily rips off Mileena's from X), the little quirks about him. It's kinda hilarious how relaxed he looks in combat due to the way his top two arms are positioned all the time. While he is not a big brute, he fills my Shokan void for this game. He looks fun! I’m definitely liking this guy. Not only is he a cool design... but I love how he fights. Personally I think he’s a very cool concept. Also nice to have yet another new Outworld race to the lore. I can’t wait to find out more about his people and what they’re all about. If I had one gripe about him, it would be that he doesn’t use all six of his arms in combat. I think it would be cool to see that. However, I understand... just can’t run the risk of anyone getting their hands on that bag of his and stealing all his treasures lol. Still it would have been cool to see in my opinion. Overall I’m very happy with his reveal and will definitely be using him. People saying he "stole" Mileena's fatality.. I'm thinking he would ravage the body of the person he kills, looking for mementos to keep. Little trinkets. 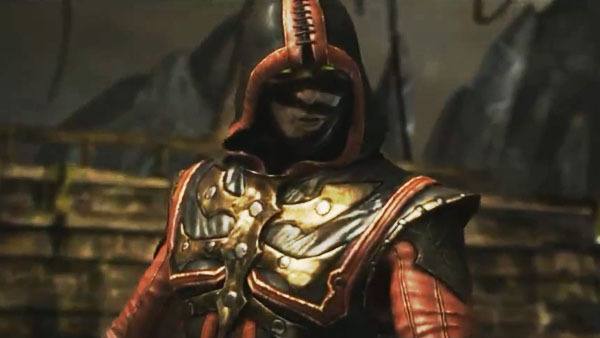 I so far liked almost all the new characters since MK9, except this one. Its very uninspired, his design is boring, and its stolen from Dvorah, Goro, Mileena, Ermac and all. His voice sounds like Reptile and Baraka. And I bet his race is from another no-name realm merged with Outworld long ago by Shao Kahn. Very boring. I would have preferred to see Motaro with four legs from the past as Shao Kahns servant this time. I actually think the opposite. A race that calls everybody's name by their occupation, must take their job very serious. So for that reason I think he actually might be very loyal.